Product prices and availability are accurate as of 2019-04-22 14:49:45 UTC and are subject to change. Any price and availability information displayed on http://www.amazon.com/ at the time of purchase will apply to the purchase of this product. There's nothing better than kids playing outdoors with their friends getting lots of healthy exercise and fresh air. But too often young kids playing on their driveway will Dash into the street chasing a ball or toy that has gotten away from them. Often, they don't pay attention to the sidewalk or the point on their driveway that their parents have defined as a boundary line. 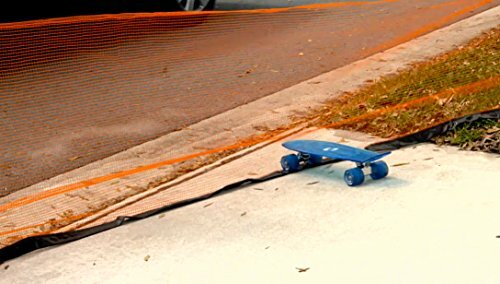 The absence of a physical barrier can create a dangerous interaction between children and neighborhood traffic. 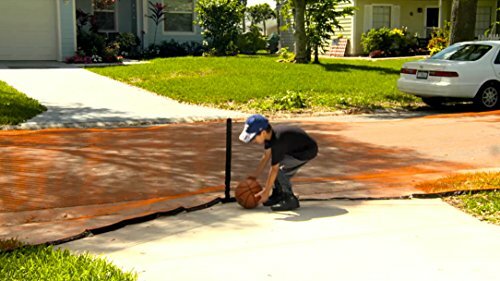 The play-it-safe driveway net creates that defined boundary that reinforces parents' instructions where their children can safely play. 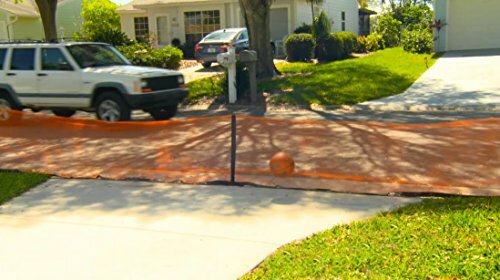 With its unique "V" shape and extended ramp bottom, the driveway net is a must-have safety product. Play-it-safe can be installed straight across your driveway or in an optional "v" shape configuration. The unique "v" shape design funnels objects to the center of the net, making it easier to retrieve a ball or toy. Extra netting at the bottom of the net helps prevent objects from rolling under it - a common Complaint with other similar products. 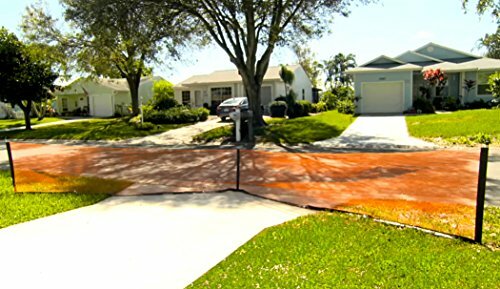 Play-it-safe is customizable to fit most driveway widths up to approximately 26' wide. The driveway net's bright Orange color creates high visibility for drivers, so that it can be seen from a greater distance, allowing for increased driver awareness and Reaction opportunity should the need Arise.